Born in 1948, Peter Ashley is best known for his writing and photography concerning very English passions, particularly in the Unmitigated England books. 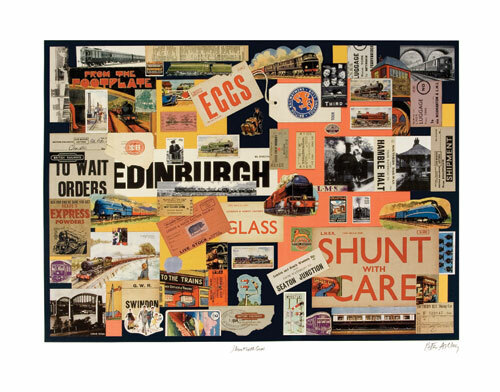 But his forty years as a graphic designer resulted in an extensive collection of printed ephemera, and it is no wonder that an evocative selection of original material found its way into Shunt With Care. Price inclusive of framing and vat, please contact us for overseas shipping.